Confession: I spent a crazy amount of time Friday night watching YouTube videos and reading blog posts about the latest and greatest beauty items. I kept finding items I'd never heard of and it really inspired me to take a trip to see what I could find. I'm going to make this a two part series since I have quite a lot to share. Today we'll start with makeup and tomorrow I'll share my latest favorites for hair and body. 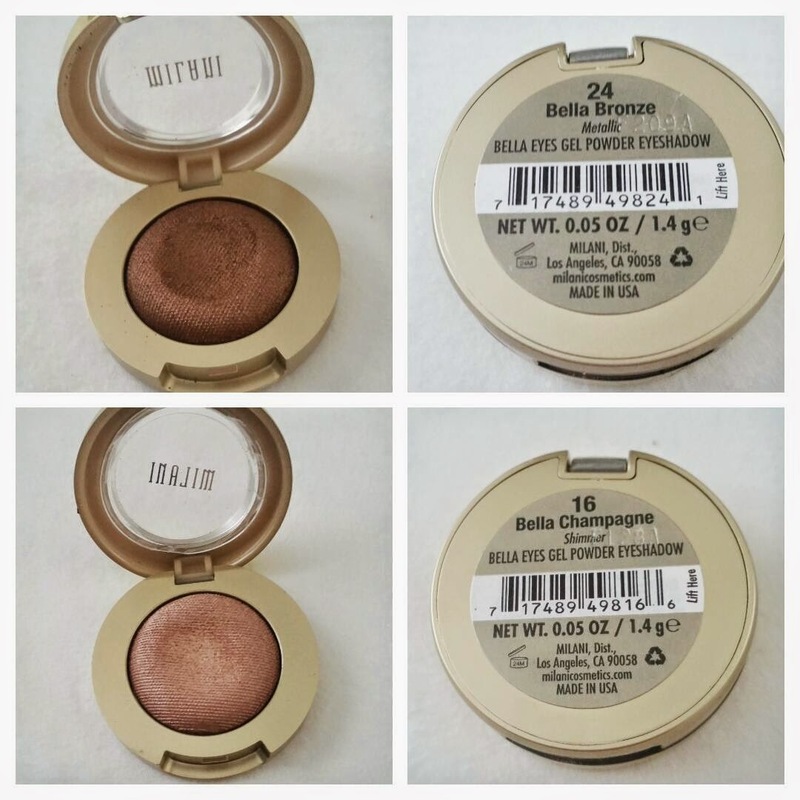 I found two eye shadow shades in the Milani line that were too gorgeous to pass up. The price was just as great. These both have quite a bit of shimmer to them, so I recommend layering these and definitely use an eyeshadow base to start. I'm especially obsessed with the darker color (Bella Bronze). Now for the show-stopper. 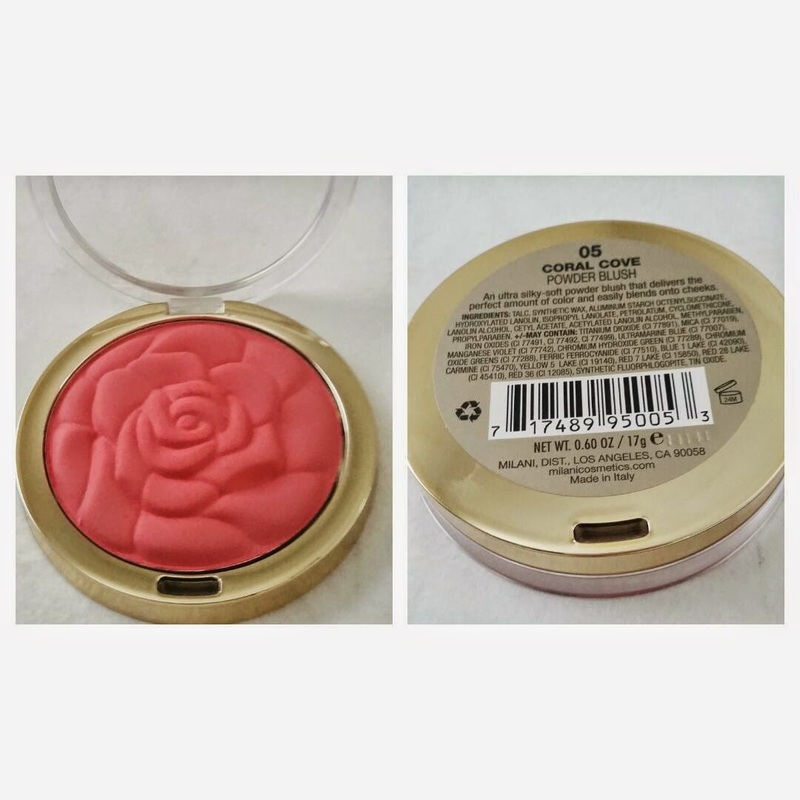 This blush is my new obsession. It packs a ton of color so be sure to use it very lightly. I wore this to dinner Saturday and loved it. The peachy pink feels so springy and is just what my pale lifeless skin tone needs! Another Milani item I have to share...this lipstick is SO FREAKING GOOD!! It is the ideal texture: matte but not drying. It stays put and the pigmentation is insanely good. 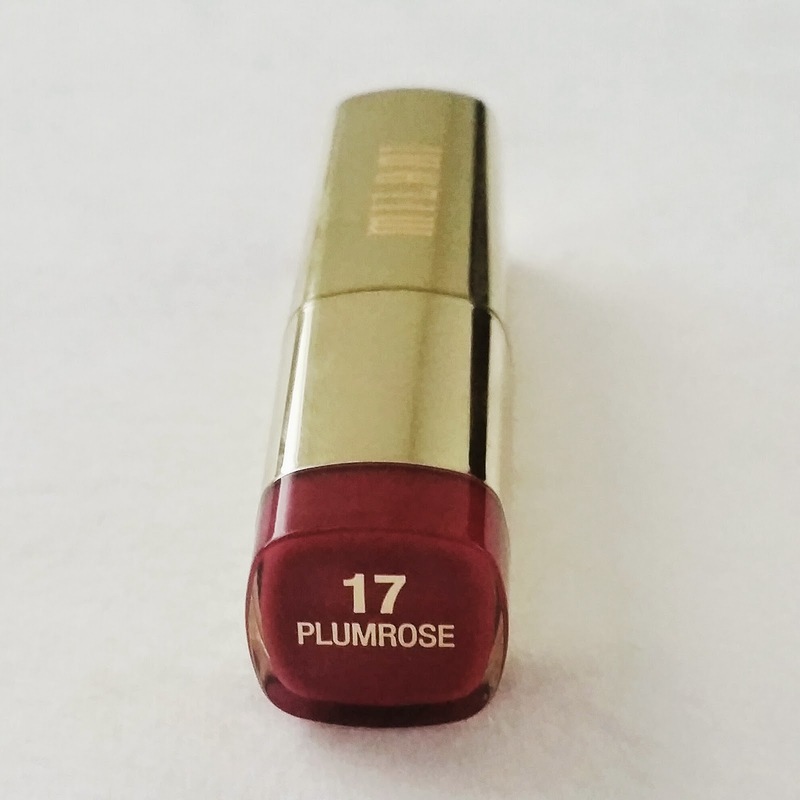 I love this shade-it has a nice red berry stain look to it. I'll definitely be trying other colors in this line! 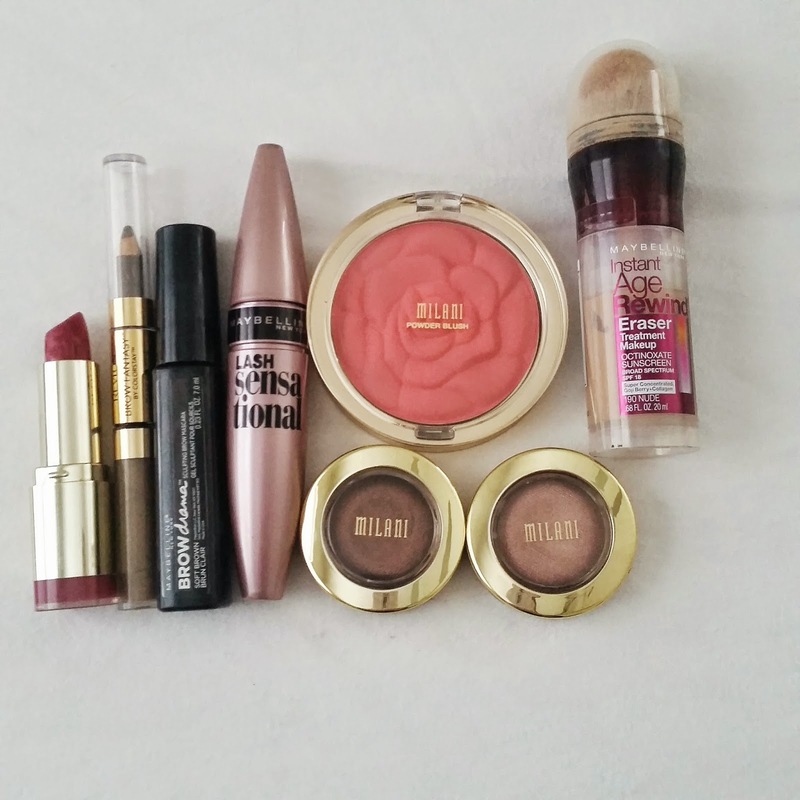 I've recently focused more on eyebrow products and I LOVE the 2 products listed above! They make the best pair. I use the pencil in a dark blonde shade to define the shape and fill in the sparse areas and finish up with the Brow gel wand to help blend the color and tame any strays. I'm telling you right now, if you aren't using brow products, give these a try and watch your face instantly look more put together with such little effort. I'm always on the hunt for the next best mascara. I love several of the Maybelline options, so when I saw this new mascara, I had to try it. I'll be honest and say that I do really like it, but not for everyday. The wand is rubbery and the mascara feels more like a gel so you have to apply quickly and carefully because it will go on thick. But for an evening out, one coat of this will be just what you need! Last and certainly not least, I cannot live with this foundation from Maybelline. I don't know how much I believe it works with aging skin, but I can tell you that I use this every day for a quick and easy foundation. Also, I've bought this in a few shades darker to use for contouring. The foundation is lightweight and has the perfect amount of coverage that gives somewhat of an airbrushed look. You will love this, trust me!